Casa Al Sur Terraza wants to create a calm oasis in the center of our beautiful and busy city. 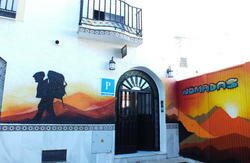 Our hostel maintains a modern urban feel within the charm of this renovated 100+ year old house. 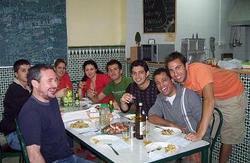 Casa Al Sur Terraza is ideally located in the center of Malaga. We believe this is the perfect starting point to explore the city that has so much to offer! Our house is within a short walking distance to all the main sites: Museo Picasso, Museo Thyssen, the famous Calle Larios, Malagueta beach, la Alcazaba, the Cathedral, as well as lots of theaters, restaurants, bars and clubs. The main bus- and train-station is reachable in 15 minutes by foot. We want you to feel at home, therefore all our rooms are decorated in a comfortable but modern look with an eye for detail. You can choose between our private or shared rooms with or without balcony, all equipped with ceiling fans and heaters. The highlight of Casa Al Sur Terraza is our sunny roof terrace that invites you to relax, meet other travellers or have a barbecue. The hostel provides free WiFi, a comfortable lounge with fully equipped communal kitchen, information desk, laundry service as well as a multilingual reception (Spanish, English, German and some french). Wine tastings are offered by one of the owners, who is a sommelier. We don't accept group bookings for more than 4 people. This is a self catering facility and requires time of arrival as the property does not have a 24h reception. Special Conditions from 13.04.14. - 20.04.14. In case of 'no show' or not cancelling right in time, the full amount of the stay will be charged. - Cross the bridge over the river and walk straight for ca. 200 m. until you reach No. 28 to your right (walking time from station: 10 min.). - Follow 'Pasillo de Sta Isabel' until it turns into 'Calle Carretera'. - Past El Corte Ingls you keep driving straight (Calle Armengual de la Mota). - After about 500 m. you turn right into Calle Mrmoles. - After about 50 m. you reach Casa Al Sur Terraza to your left (No. 28). - TO THE PARKING LOT: Keep going straight for about 150 m. The lot is to your right. - Parking Lot Mrmoles: 18 / 24h (Calle Mrmoles 1). - Leave the train-station or bus-station on to Calle Mendvil. - Go straight and turn then left into Avenida de las Americas. - Head toward the roundabout and leave the second exit into Calle Gabriel Celaya. - Keep going straight, cross Avenida Aurora, cross Avendia Andaluca and pass the shopping-house El Corte Ingls to your left. - Leave the roundabout straight into Calle Armengual de la Mota. 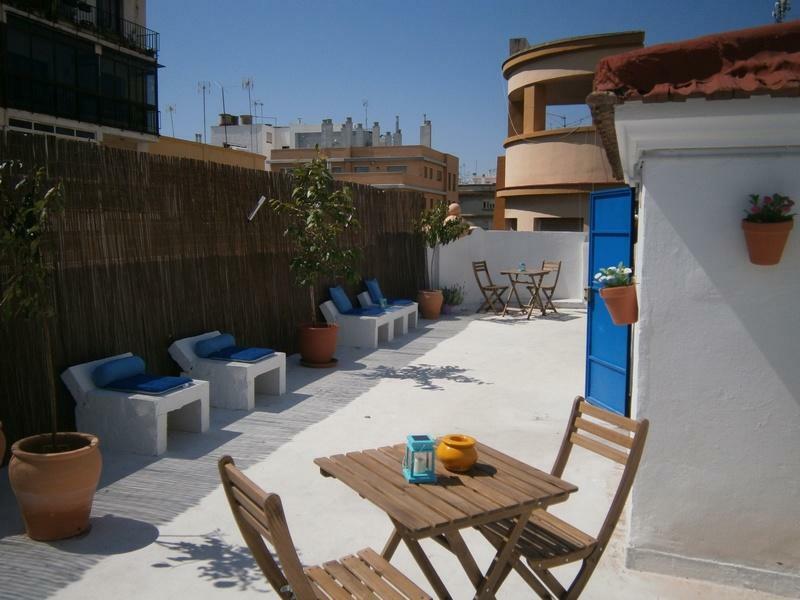 - After a 50 m. walk you see Casa Al Sur Terraza on No. 28 to your left (walking time from the station: ca. 15 min.). - About 5,00-7,00 (5 min. ride).